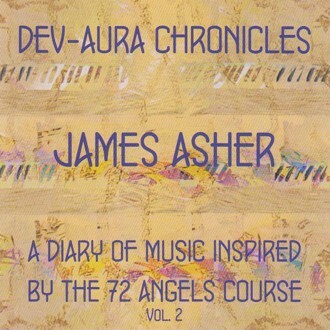 Dev-Aura Musical Chronicles – A Diary of Music Inspired by the 72 Angels Course Vol.2. The courses at the Academy, Tetford, Lincolnshire held in February 2010 with the title “72 Angels of the Kabbalah and Aura-Soma” provided a powerful catalyst for James Asher to write two new albums of original music. The unique blend of harmony, energies and light presence at Dev-Aura have for many years represented a very fertile environment for James in the creative process, and have been highly encouraging of new music. In 1994 his album Dance of the Light contained a composition Dawn at Dev-Aura, which combines the sounds of the dawn chorus with inspirational music written there on a glorious midsummer morning.